Mere days ago enough support was reached in Congress to designate the last week of September as National Hereditary Breast and Ovarian Cancer Week. 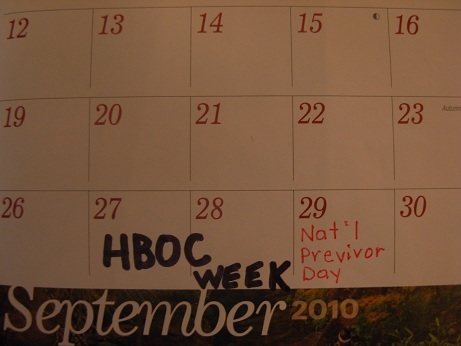 In addition, the final Wednesday of September is to be designated as National Previvor Day. Congresswoman Debbie Wasserman Schultz (D-FL) worked diligently to pass this resolution known as HR 1522. Congresswoman Wasserman Schultz is a breast cancer survivor herself (diagnosed young at age 41) and also a BRCA2 gene carrier. You might be saying to yourself why in the world do we need yet another “awareness week” and what the heck does previvor mean? Isn’t calling October Breast Cancer Awareness month enough? Isn’t this just overkill? Until recently I probably would have been skeptical myself. In fact when my own mother was diagnosed with breast cancer and then later found to be a BRCA2 gene carrier, (had she known she was a carrier at the onset of her disease, a different treatment path may have been chosen resulting in a better outcome) I had a reluctant mindset to say the least. I was not interested, or perhaps just not ready, to face up to my own genetic predisposition to breast and ovarian cancer. To the disappointment of my mother, I chose not to be tested thinking if I did get cancer I would surely be as old as she was when she developed hers (74) or I would just deal with it when and if it happened. Now I too fully understand how wrong that thinking was. 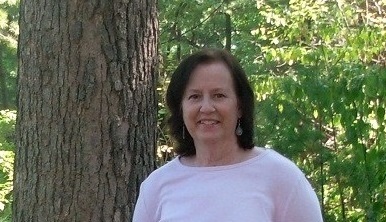 A mere two years after my mother’s death, I was diagnosed with breast cancer myself. So much for the “thinking I have more time” theory. We never have as much time as we think we do. So how does my situation relate to National Hereditary Breast and Ovarian Cancer Week? I think I am a good example for why this designation is needed because I knew more than many about genetic predisposition and still perhaps made some bad choices. So how in the world can we expect individuals who know little or nothing about the topic to make informed decisions? Simply put, people need to pay attention to their family history and if it seems there is a pattern in there somewhere indicating “too many” cancer cases for one family, they should have a discussion with their doctor about the possibility of hereditary cancers. This discussion could ultimately lead to considering genetic testing, taking preventative measures with or without genetic testing or at least thinking about available management options. That is the whole purpose behind resolution HR1522 – simply to raise awareness of a genetic predisposition to cancer, whether one chooses genetic testing or not. It also calls for more research and resources for families coping with an inherited predisposition to breast and ovarian cancer. This includes men as well, who are not immune from developing breast cancer and who may also be at higher risk for prostate cancer if they are found to be BRCA1 or BRCA2 positive. The National Previvor Day designation draws even more specific attention to individuals who carry the hereditary predisposition but have not yet developed either cancer. Perhaps during this week or on this day they will ponder steps they can take such as demanding earlier and more diligent screenings. This is so important because many cases of hereditary breast and ovarian cancer strike younger women who do not fit the profile for general screening guidelines and therefore their cancers are not detected early when treatment outcomes are so much better. A good resource and another driving force (no pun intended) behind HR 1522 is the national non-profit organization called FORCE: Facing Our Risk of Cancer Empowered. It was founded in 1999 and is devoted to improving the lives of those affected by hereditary cancers. You can view Congressman Wasserman Schultz’s five-minute speech given before Congress on September 15, 2010 at www.facingourrisk.org It is worth listening to. Understanding hereditary predisposition to cancer is only just beginning. In some weird sort of way I feel kind of excited to be a small cog in the “frontier” of genetic testing. After my diagnosis I was tested and learned I am indeed a BRCA2 mutant gene carrier. Genetic testing is still in its infancy. There is much yet to learn. But isn’t that all the more reason to get on board and support the spread of awareness and knowledge? That’s why I am writing this particular post this particular day during this particular week in September. So instead of rolling my eyes at yet two more “awareness” designations that I am told I should notice, I am attempting to spread the word about National Hereditary Breast and Ovarian Cancer Week and National Previvor Day. After all knowledge really is power, especially when it comes to your own body and health. Just like Mother said. Do you think all of these “awareness” campaigns are helpful or just a waste of time and money? Teresa, Thanks for returning to my blog. Don’t know if there is hereditary cancer in your family, but there certainly is in mine. That’s why getting the word out on stuff like this is so important.